Weekly Shounen Sunday (週刊少年サンデー) is a comprehensive manga magazine published by Shogakukan. The first issue was published in 1959 and it releases on every Wednesday now. The meaning of the “Sunday” in the name is to make readers enjoy a happy weekend. Compared to its rival Weekly Shounen Jump, which insists on the core psychology of “friendship, struggle, and victory”, Shounen Sunday has no definite style. 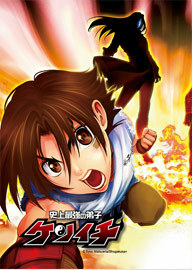 The theme of sports, science fiction, magic, detective, history, love is all available and it depends on the manga artists. Since its publication, it has released many classical mangas, like Takahashi Rumiko’s Ranma 1/2 and InuYasha, ASACHI Mitsuru’s Touch and Cross Game, AOYAMA Gosho’s Detective Conan and Magic Kaitou, Wakaki Tamiki’s The World God Only Knows and so on. Though some of them have completed, they bring us many beautiful memories and much happiness in our childhood. High school student Kudo is a detective. During an investigation, he was attacked by Black Organization and became a child. 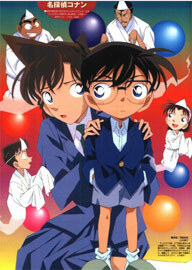 In order to investigate this matter and find the antidote to recover his body, he uses the name-- Conan. By his talent and meticulous mind, he solves many cases and makes criminals confess. But whether Conan can recover his body? 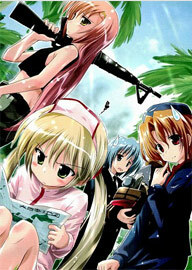 Hayate, a bad-luck boy, his parents disappeared and left him a huge debt on Christmas Eve. Coincidentally, he saved a rich girl named Nagi. To thank him, Nagi hires Hayate as her butler and pays the debt for him. Though this manga is a little disjointed sometimes, you’ll still be interested in its humor and the parody of many funny things! Kagami was known as a physics genius. However, he was addicted into anime and became an Otaku. One day, under his sister's arrangement, he becomes a teacher. As an Otaku-teacher, he always handles the problematic students in the "Badass Bookworm" way. It must be a funny class if we have him. It’s also a cool manga. It always amazes and surprises us! Aladdin is a little boy who likes delicious foods and beauty. On the way of exploring the world with Ali baba, Aladdin experiences many adventures like challenging the maze, helping slaves to get freedom, fulfilling others' wishes. Do you want to know more adventure stories? Then let's go with Aladdin to read it one by one! Kenchi, a normal high school student, meets a mysterious transfer student named Miu. In order to be strong, he follows her to a dojo house to learn art martial. There, he becomes a full-fledged disciple through endless trainings and fights. It's an amazing art martial manga. It shows us the diverse profound martial arts including kung fu, Jujutsu, Karate etc. 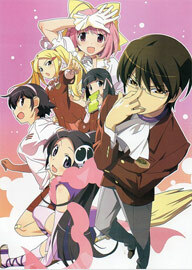 High school student Katsuragi Keima receives an e-mail offering him a contract to "conquer" girls. He thinks it is a game challenge invitation and accepts it. Then Elsie, a demon from Hell, appears and asks for his help to catch the evil spirits inside the hearts of girls. As a harem manga, the story is unexpectedly interesting and even many girls like it. Isamu is a Grade six student. He always looks down on peers because he is handsome and has brilliant boxing ability. He considers himself as the best. 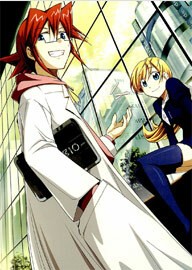 Until one day, a transfer student named Moka comes to his class. Isamu is attacked by this pretty girl. As the story continues, everything changes. What will happen to this two fettered person? A rare astronomical phenomenon happens on the earth, and then many "Altered" people, who have special powers, appears. 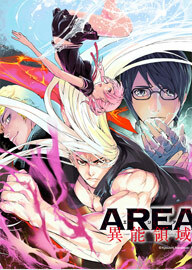 They are thought of as only doing destructive, murderous and criminal things, so they are escorted to a mysterious remote island prison named "Area D". Are they really the heinous guy? Can they survival in this dark island? 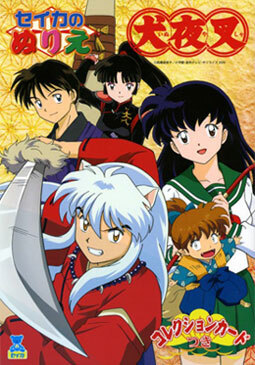 For many manga fans, InuYasha may be their first long manga and an important part in their childhood. Kagome, a modern girl, transforms to feudal Japan and she meets her lover Inuyasha. They and their partners like Miroku, Shippo try to find the piece of the Jewel of Four Souls. 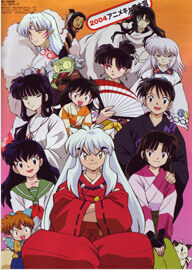 On their way to find the jewel, they have to fight with the evil half-demon Naraku. The story tells about Yoshimori and Tokine, who are heirs to rival families of Kekkaishi (demon-hunters), defend their school by night from the spirits drawn to "Karasumori", the sacred land. This is an excellent manga. Kekkai technique is amazing. There are no too many flashbacks, dragging on fights or fanservices: it is just simply good. Ranma fell into a cursed spring on a training journey. 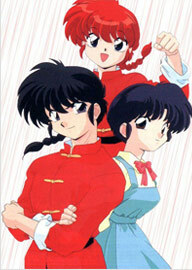 From then on, Ranma turns into a girl once he's splashed with cold water and turns back into a boy with hot water. In this manga, you will find many such odd things like this. Many people say they had a good time with this manga in their childhood and it's their first gender-bender manga. 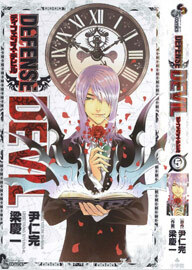 In order to get the dark matter from human sinners, the banished demon named Kucabara becomes a defense devil. Before Shinigami takes the sinner to the hell, he and his friends must prove the sinner's innocence first. It's a good shounen manga. There is lots of action, punch of comedy, a blast of tragedy, and a pinch of love in the story. It follows Ko and the four neighboring Tsukishima sisters, Ichiyo, Wakaba, Aoba, and Momiji. 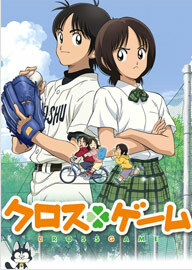 Ko and Wakaba were the same age and always together. Aoba was jealous of all the time Ko spent with her sister. After Wakaba dies, Ko and Aoba slowly grow closer as they strive to fulfill Wakaba's dream. 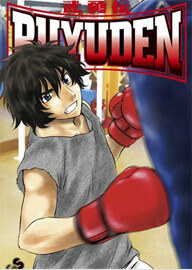 Adachi Mitsuru's sports manga are always classical. This one is no exception. 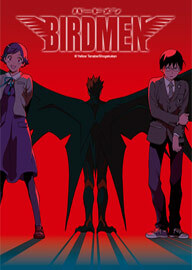 In order to choose the demon king, a hundred demon kids are sent to the human world to sharpen their talent. 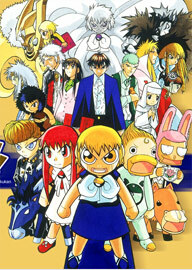 Zatch Bell is one of them. When he comes to the earth, he finds his human partner Kiyo. It seems that Kiyo is a dissociable boy, but actually he is a genius. 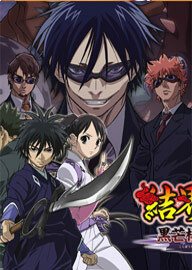 What will Kiyo do to help Zatch defeat other demon kids to win the honor? Eishi Karasuma, a middle school student, is bored with his monotonous life. He longs for changing. One day, he and his friend Mikisada had an accident when they came back from a garden. They survived in the accident, but they found there were wings on their back! Do they become the birdmen? Will Eishi enjoy his new life? 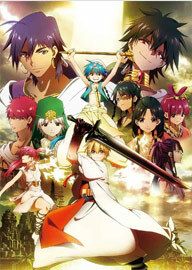 It tells the story of Sinbad's adventure since he was a child. We will know how he becomes the king of Sindria and leads the alliance of seven countries in the cruel world from the story. No matter what kinds of difficulties he faces, Sinbad keeps moving forward. 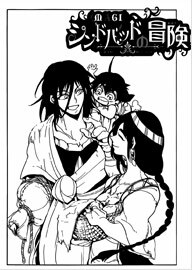 It's no wonder that he becomes the king in the main Magi story.